Scroll down to Book Reservation. 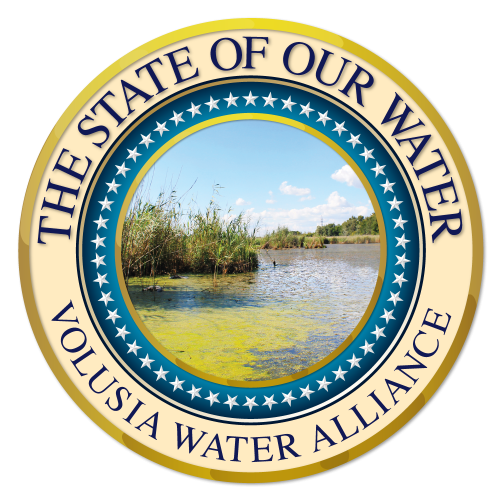 As our population grows in Central Florida, we are causing serious problems with our natural ecosystem and the Floridan Aquifer under our feet from which we get our water. There is no easy solution, but the best minds in the business are coming together to work on it. Join us. 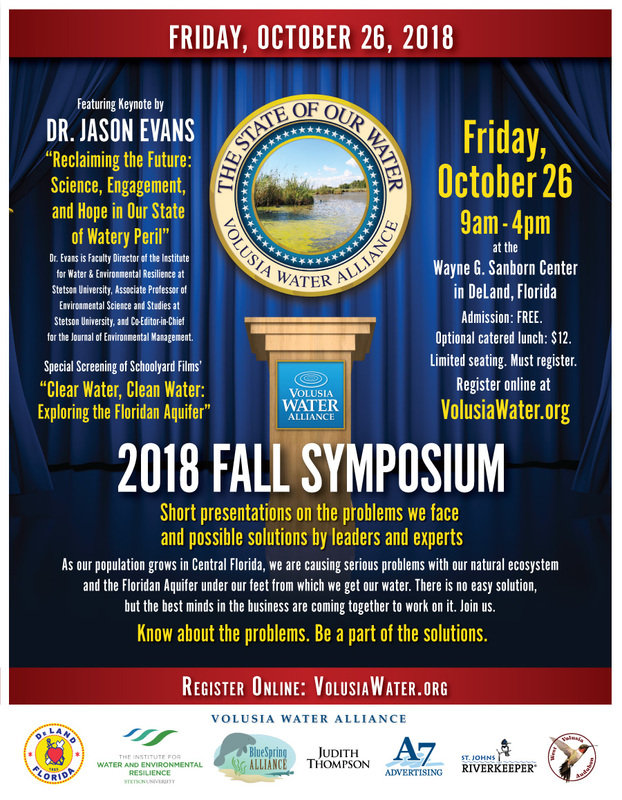 A tight schedule of short presentations— like TED Talks—by more than 20 leading professionals on the increasing concerns about our water supply and possible solutions. 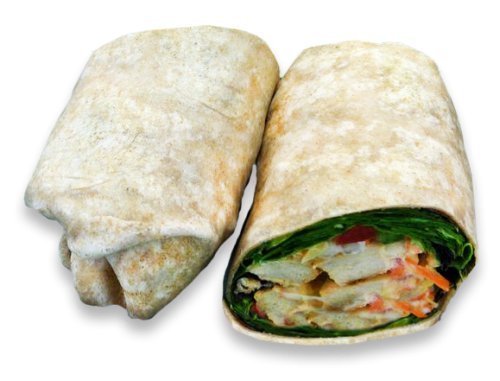 For attendees that choose, an optional catered lunch will be brought in to include a large, freshly-made sandwich wrap, (choice of Tuna, Turkey with Cheese, or Vegetarian), a bag of chips, plenty of fresh water, and a dessert item (e.g. brownie), catered by DeLand Natural Market and Deli. A “Beer Review” at the end of the day (4 pm) as those who wish to engage in further discussion enjoy a group “Happy Hour” at a local establishment. All attendees MUST register to reserve seats until all spaces are filled. Book your registration NOW by using the form below. Know about the problems. Be a part of the solutions.